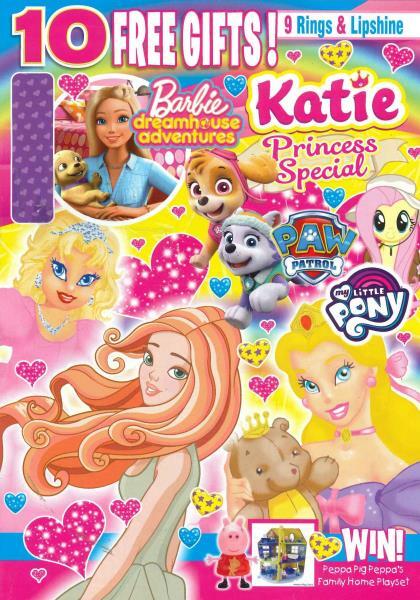 Katie is a full-colour magazine for girls aged between 5-9 years old and is spread over 13 issues per year.This popular girl’s mag is just bursting with what every girl wants. Buy a single copy or subscription to Katie magazine. features on popular characters such as Barbie, Hello Kitty, Disney Princesses and a lot more. It also includes fun games and activities, fashion and style features, posters of their favourite popstars, as well as heaps of free gifts.